By popular demand, and we mean people have been literally hustling us to get the videos of Beyonce’s latest bangers on this platform. So people , you can simply rest easy because this is the complete album. Special dedication goes out to a special someone. You are exceptionally FLAWLESS. You know yourself. Enjoy. Beyonce is definitely closing 2013 with a bang! In one of the biggest surprises of the year, Bey, 32, released her fifth album on iTunes out of nowhere Thursday night, with no publicity. The singer began recording the album in the summer of 2012 and, somehow, kept it under wraps. It’s a visual album that includes 14 songs and 17 videos, including songs with Drake, Frank Ocean, obviously Jay Z and even adorable Blue Ivy! With that said, here are the videos. Enjoy! This entry was posted in Entertainment, News, videos and tagged Bey, Beyoncé Knowles, Drake, Frank Ocean, Grown Woman, itunes, Jay-Z, Pretty Hurts. We love , we love this video. All we are saying is we love, we love this video. The video is classic, beautiful and one of the best we have seen this year. Just hope that music video producers can take some cues from this video. What are we saying again, cut less on the booty bouncing. This entry was posted in videos and tagged Don Jazzy, Music, Music Video, Tiwa Savage. It’s not easy to keep the romance alive with when you’re miles apart, but Keith Urban and Nicole Kidman work hard at making their relationship strong despite their hectic schedules. 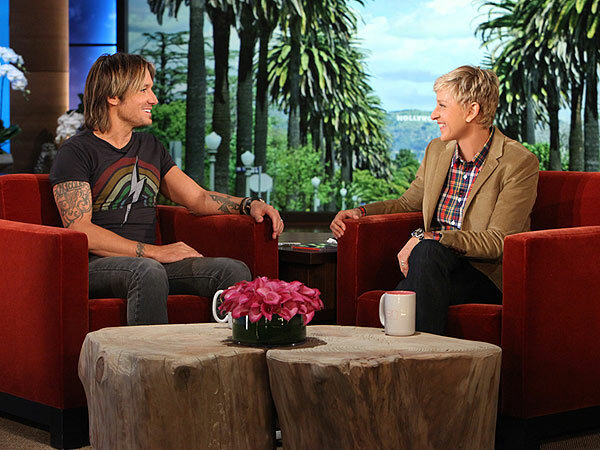 The country star and American Idol judge, appearing on Monday’s The Ellen DeGeneres Show, happily reveals just how he and his wife of seven years stay in touch. He then owns up to DeGeneres that he and Kidman occasionally send other messages. “What kind of text? What do you mean?” DeGeneres asks. This entry was posted in Entertainment, News, PHOTOS, videos and tagged American Idol, Keith Urban, London, Nicole Kidman, Sunday. Following the controversy surrounding the previously shot Skelewu video by celebrity film maker Sesan, the new video shot by Moe Musa has been released as the official video. 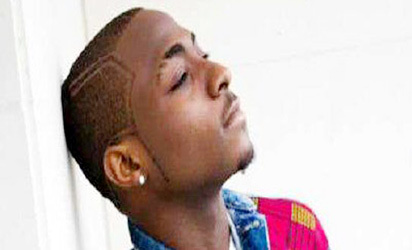 Davido rejected the video shot by Sesan after it leaked online. He came on twitter to denounce it, claiming it was not the original version. Hours after this latest video by Moe Musa came online, comments on preference between the videos shot by him (Moe) and Sesan’s have danced back and forth, creating an almost even poll. The new Skelewu video was shot in London and released under Davido’s HKN music label. This entry was posted in Entertainment, News, videos and tagged Davido, Filmmaking, HKN, London, Moe Musa, Record label, Sesan, Skelewu, video. 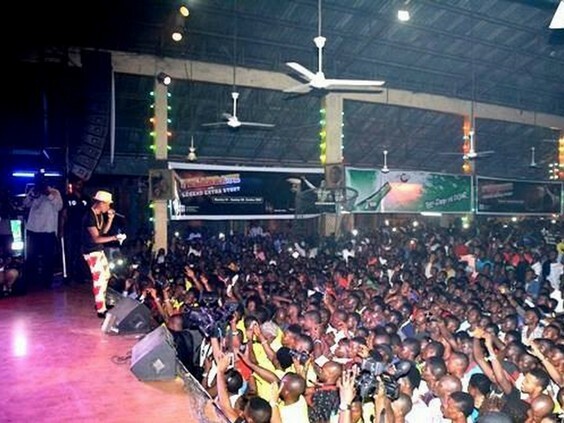 Wizkid caused a huge fracas at the Felabration 2013 on Thursday after he threw money into the crowd at the end of his performance. The pop star had just wrapped up his thrilling performance at about 3:26AM when he asked his manager Godwin Tom to hand him two bale of N500 notes supposedly around the sum of N100,000. Wizkid then threw the money into the crowd and left the stage. Wizzy and his entourage immediately left the venue without the knowledge of the near-disaster he had caused as fans in the crowded general public area proceeded to hound themselves over a few thousands of Naira. The fight for the N500 notes amongst the crowd couldn’t be controlled by the stage security. In fact security guards joined in the fight for the money. The fight led to a stampede and lasted for another 30 minutes. It had to take the intervention of more security officials and show host Omobaba who pleaded for the crowd to be calm. This entry was posted in Entertainment, News, videos and tagged causes stampede, felaberation 2013, money, Naira, Omobaba, Security, Security guard, Wizkid, Wizzy. For some days now, Cwesi Oteng ‘s Music Video has been making rounds online and we are loving it. This entry was posted in Entertainment, News, Uncategorized, videos and tagged Accra, Cwesi Oteng, Gospel music, Music Video.